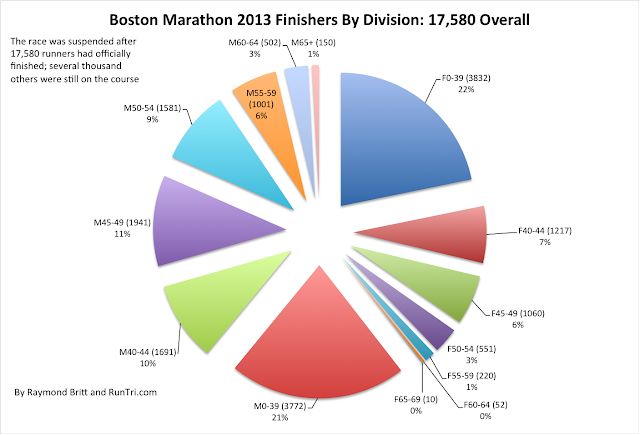 Finishers: 17,580, or 75% of starters, completed the race before the terrorist attack shut the race down. Direct analytic comparisons with other Boston Marathon results are, at first glance, naturally impossible, because Boston 2013 was unfinished, final results never to be completely tallied. 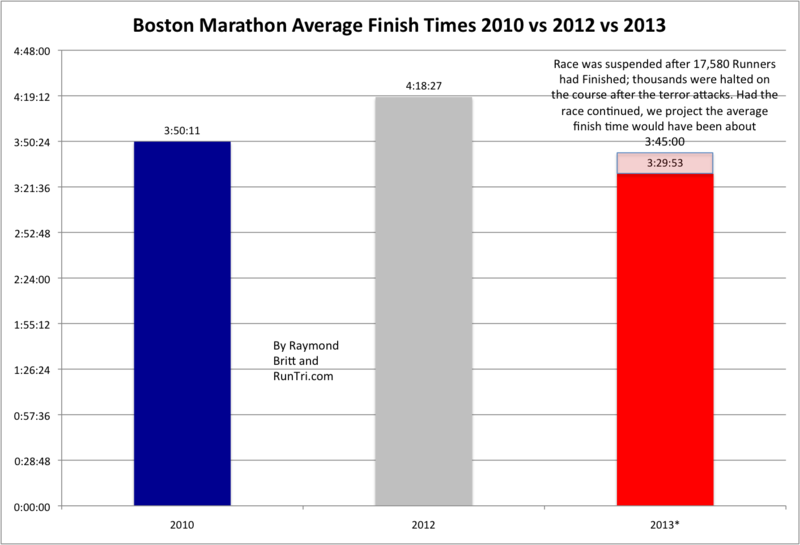 And we do make adjustments below to accomodate a fair comparison. 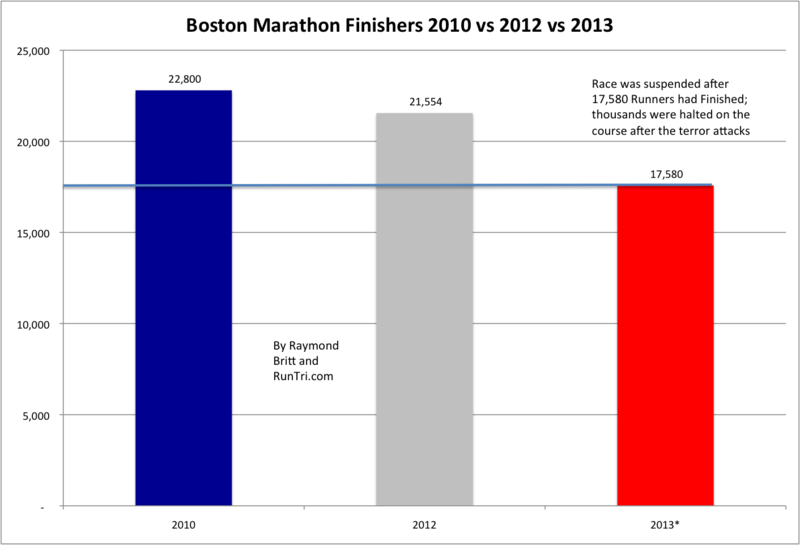 Bust first, the basics: actual comparisons between 2010, 2012, and 2013. 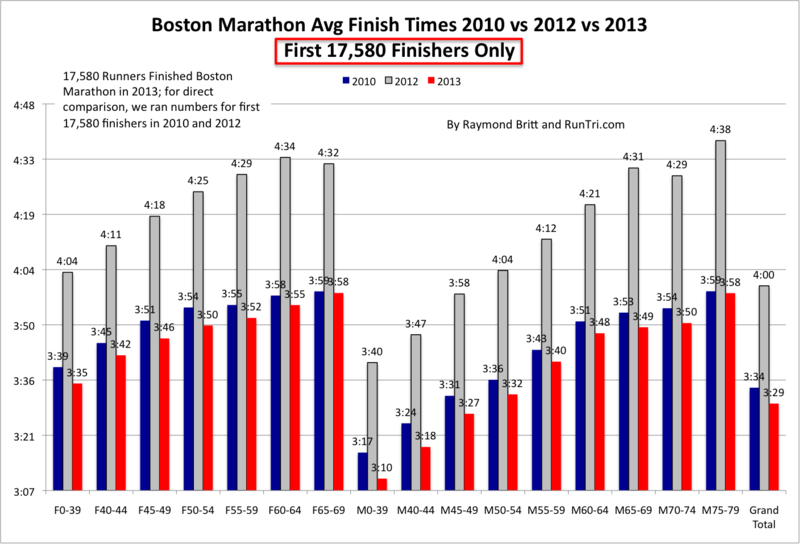 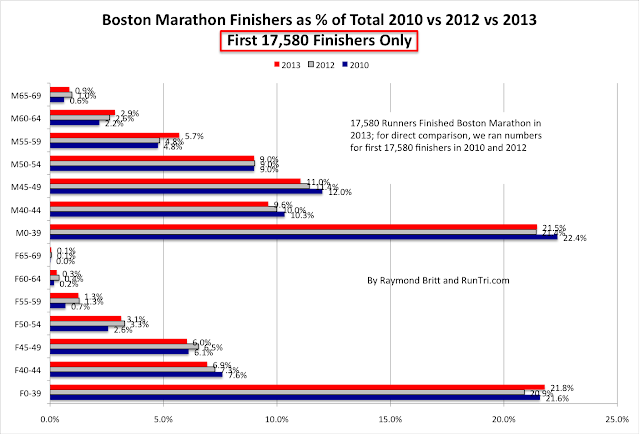 However, we did want to know how results of the 17,580 Boston 2013 finishers compared with other years, so we modified the datasets, to allow for a truly comparable set of comparisons. The adjustment: compare results for only the first 17,580 finishers in the 2010 (conditions most like 2013) and 2012 (the outlier, due to unprecedented heat). 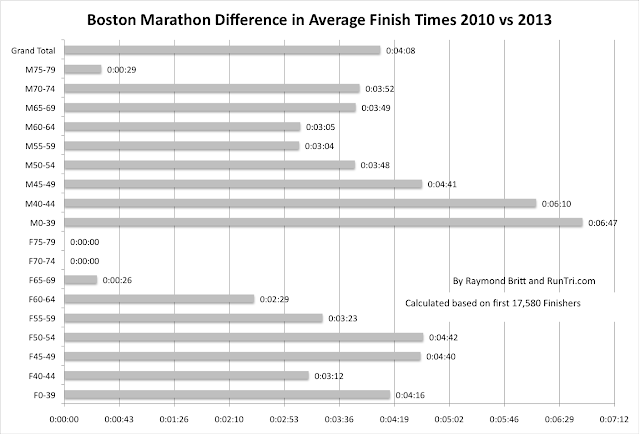 So here it is, the adjusted direct comparisons. For more, visit our complete Boston Marathon Coverage or see www.RunTri.com.